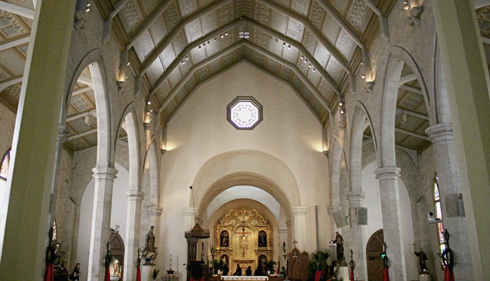 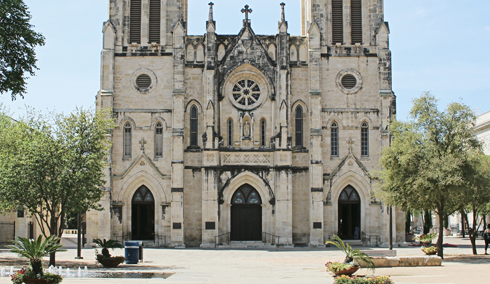 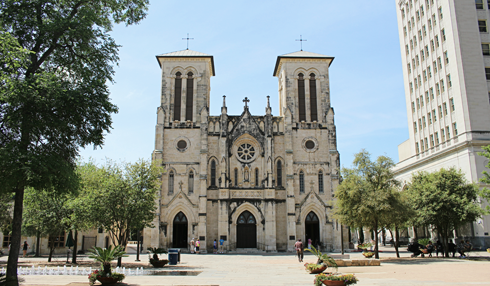 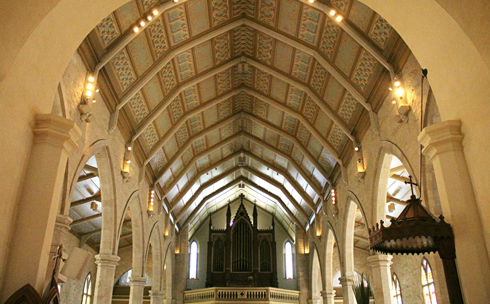 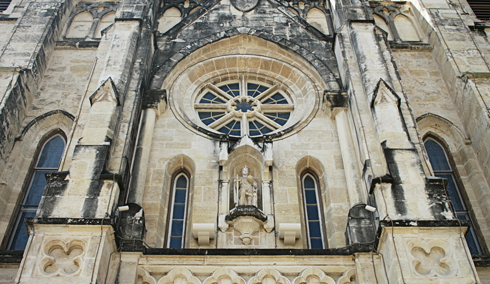 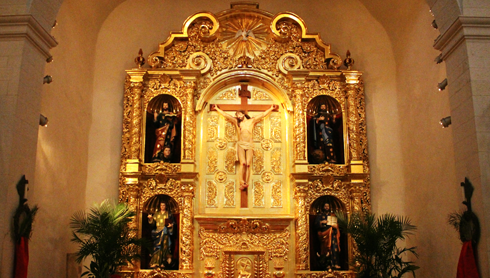 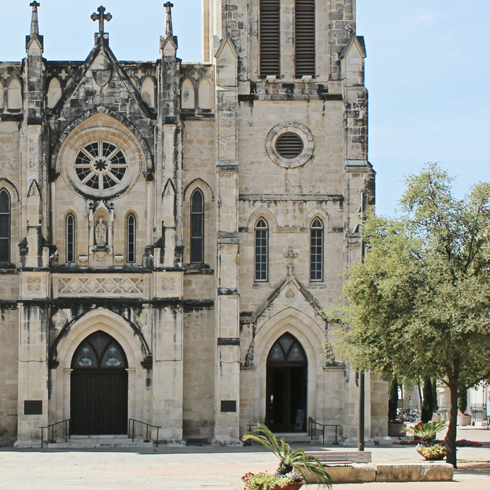 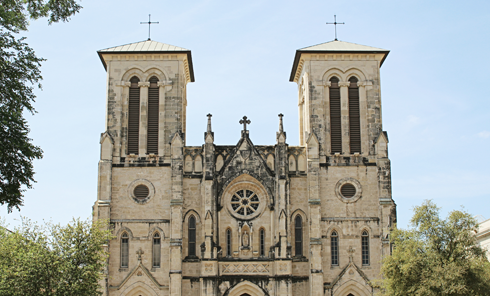 Built in the mid-1700s, the San Fernando Cathedral in San Antonio, Texas is recognized for being one of the oldest cathedrals in the United States. 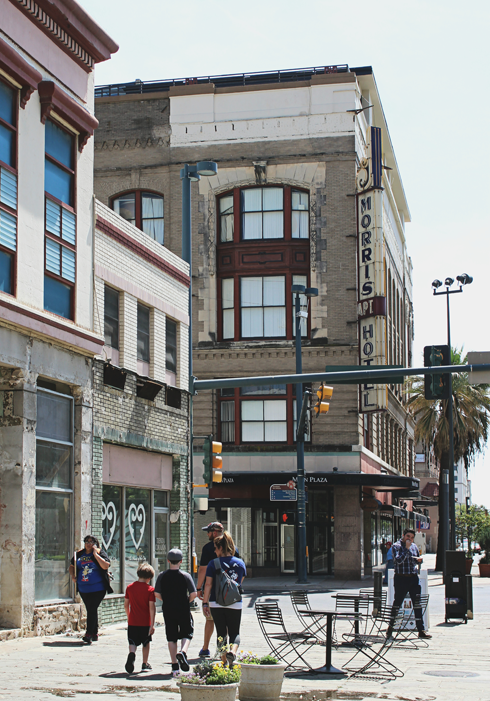 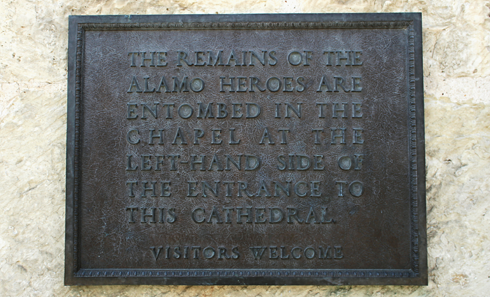 The structure marks the geographical center of San Antonio, and is also noteworthy because the heroes of the Alamo, Davy Crockett, William B. Travis, and Jim Bowie are entombed here. 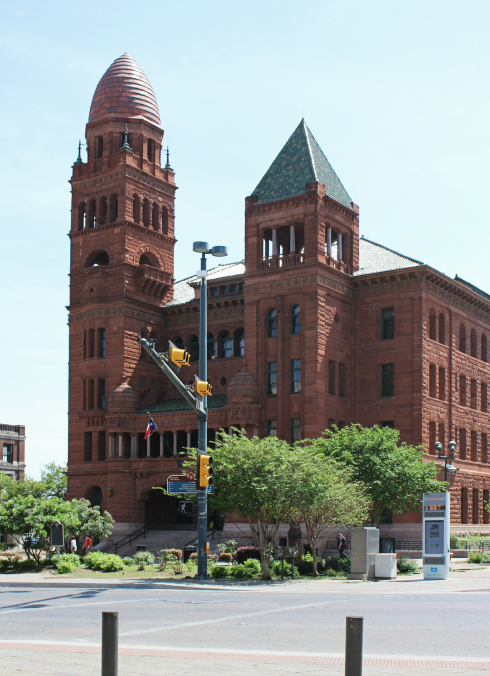 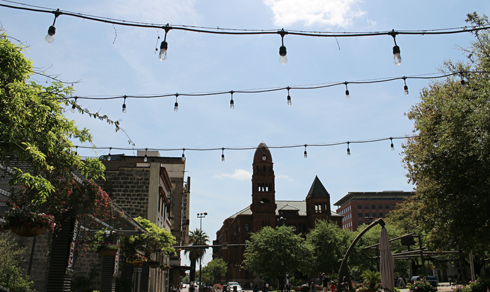 Bexar County Courthouse in San Antonio, Texas.